True stories of crime investigations using forensic science. Bill Kurtis hosts this documentary series that profiles criminal cases involving high profile murders, serial killers, and organized crime. Each episode culminating with the justice dispensed by the American legal system in each case. 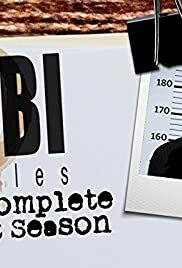 The FBI Files is an American television docudrama series. Each episode describes actual FBI cases which include murder, narcotics, bank robberies, kidnappings, etc. These are portrayed through dramatic reenactments and interviews with agents and forensic scientists who worked on the investigations. Most of the episodes are okay, but the two-part stories tend to really bog down. They could have easily covered the details in a single episode, and I found myself losing interest in the tedium.